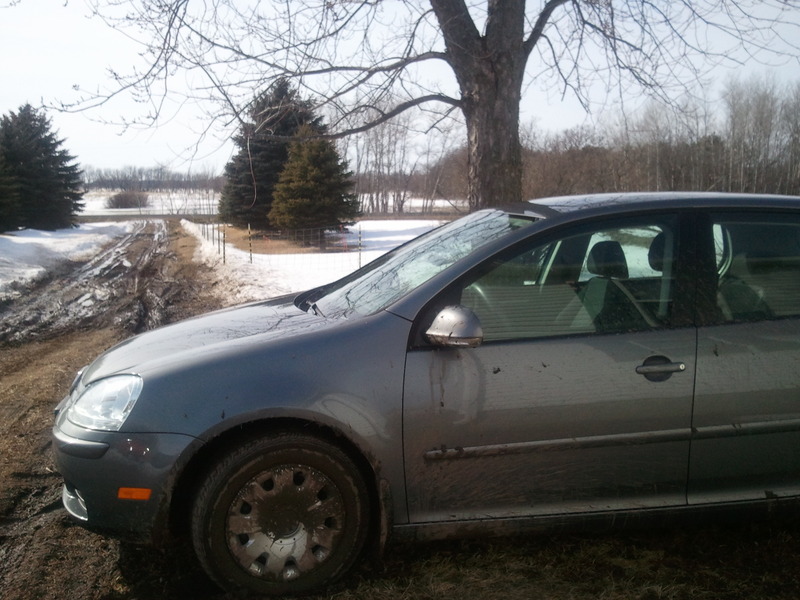 Spring: Mud Season, a Minor Flood and LAMBS! Spring is right around the corner – at least that is what it says on the calendar. Here, on the farm, it will be mud season for at least a few more weeks. 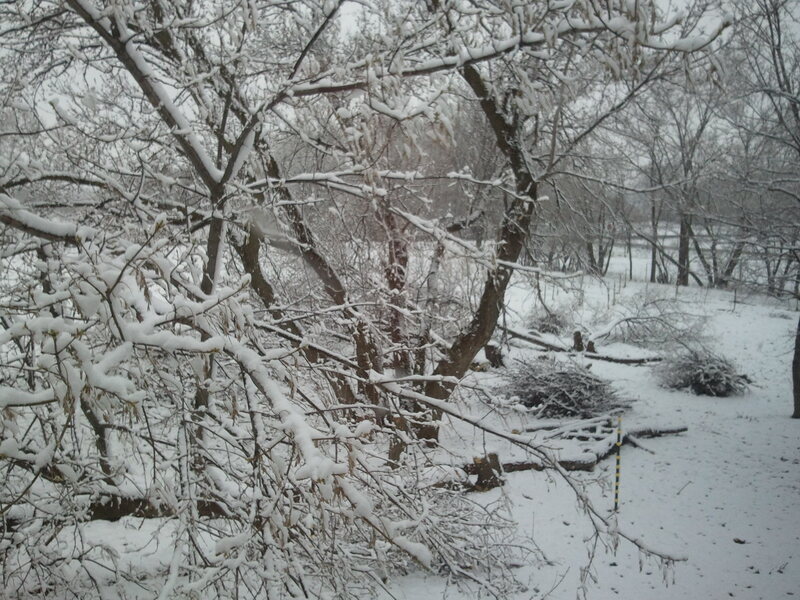 Before moving to the country, I thought there were four seasons during the year. After all, that is what we learn as children; I grew up in the city so I assumed was true. However, the truth is evident to those who live far from the paved streets and sidewalks. Actually, there are six seasons – Winter, mud, spring, summer, mud, fall. We’ve had so much snow this winter that MUD season is in full swing and it’s a doozie! For the first time in five years, we have resorted to parking our vehicles at the end of our driveway, near the county road. 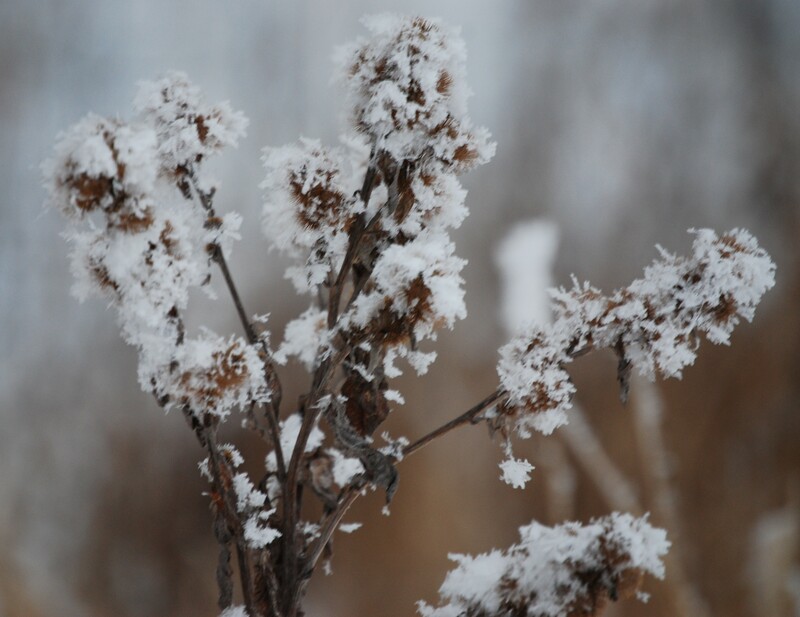 The frost is still in the ground and the melting snowbanks (yay!) supply a constant stream of water running down the driveway. We have perfect conditions for a very nasty mud season. Melt water overflowing into the barnyard. Anyone with a barnyard knows how disgusting it is at this time of year. We have become accustomed to the mud and “other stuff” we slog through this time of year. The only difference this mud season is the level of our “creek.” It’s actually not a creek, but a drainage ditch which runs through our property. It looks like a small creek with all the old trees grown up on the banks. The creek usually fills at this time of year with the snowmelt. 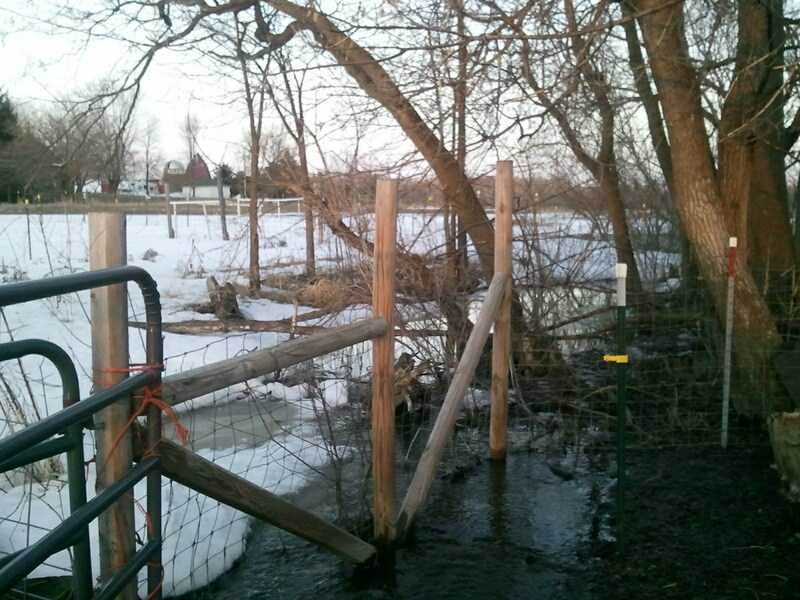 Today, I discovered that the creek has overflown its bank and is flowing into a low section on the edge of the barnyard. Yikes! At least our house sits on higher ground. Hopefully, our minor flood will only last a few days. 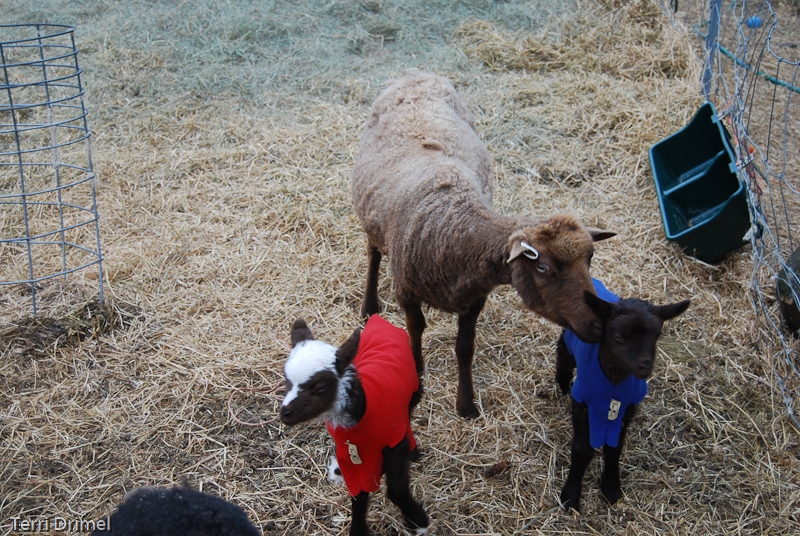 On a happy note, black Finnsheep ewe Emmi birthed our first two lambs of 2011 yesterday. 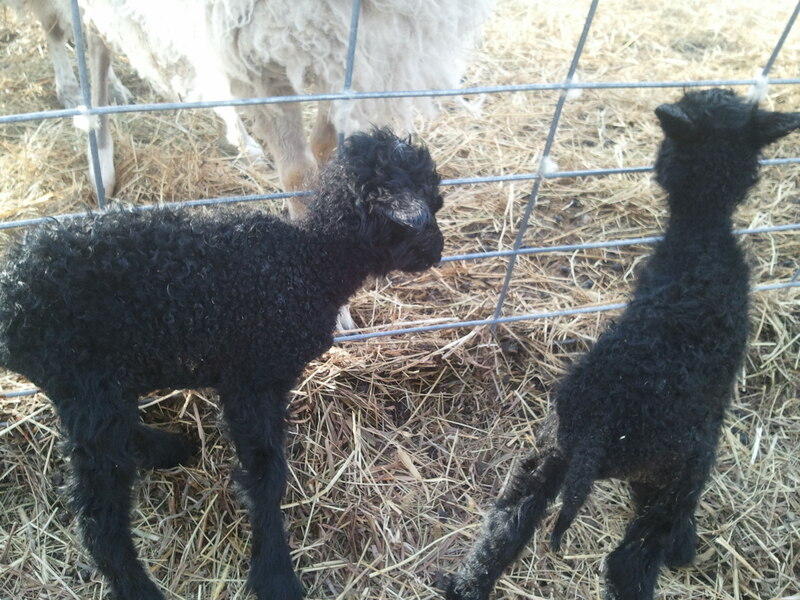 A solid black ewe and a black ram lamb with a small white spot on his head. They were dry and nursing when I found them. My guess is they were born a few hours before discovery. 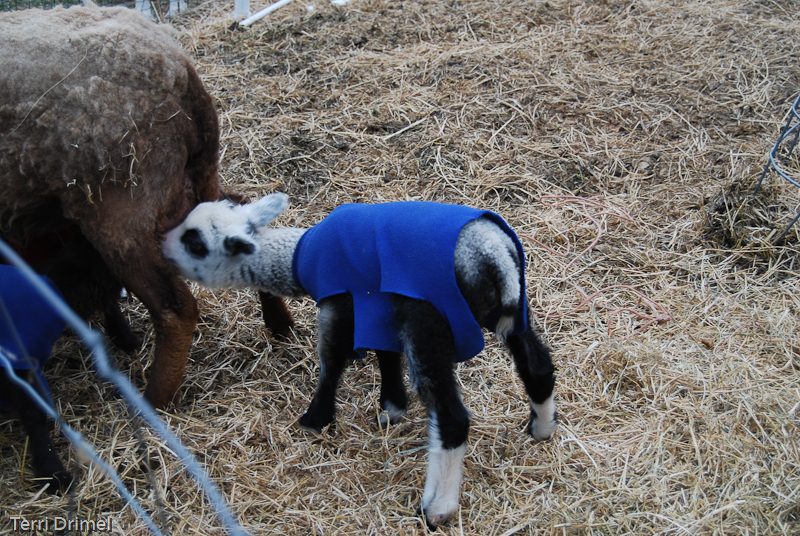 I got mom and lambs into a jug and dressed the ewe lamb in a red fleece jacket and the boy in blue. 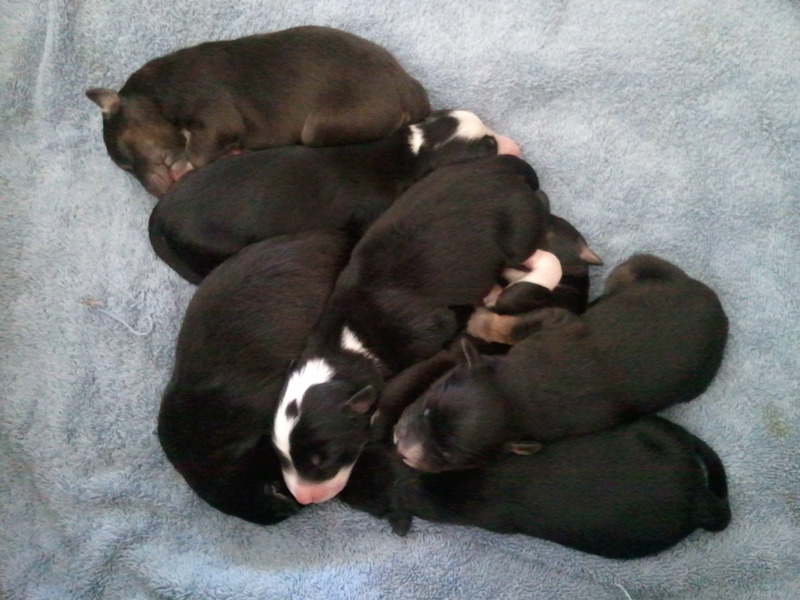 They are so cute and all are doing well. Today the ewe lamb weighed 6 lbs. 13 oz., the ram lamb weighed 6 lb. 9 oz. Lambing season has begun! I have yet another head cold this winter. This is my fourth cold since November. Usually, I get one or two head colds during the winter. I don’t know what is different this year. I take a multivitamin and have been eating more fruits and veggies than in the past. And these colds have knocked me for a loop. I sleep all the time, feel run down with body aches and a full head. I have a hard time thinking so it’s just better to sleep. It’s not the flu. Needless to say, I am fairly disgusted with being sick. I need some cheer, please. Leave a message telling me what is wonderful in your part of the world. I thank you in advance! We have four Shetland ewes left in our flock. When we made the switch to Finnsheep we were able to find new homes for most of them. 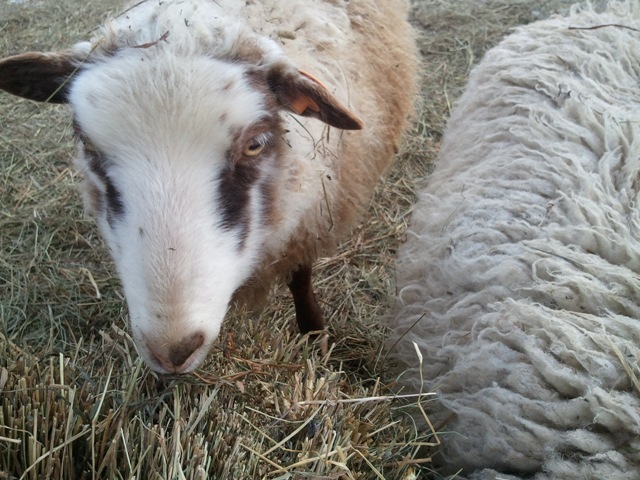 But we couldn’t part with Jellybean, a musket ewe who was of our original flock. She is a very feminine, dainty Shetland with a wonderful fleece. She has been bred twice. 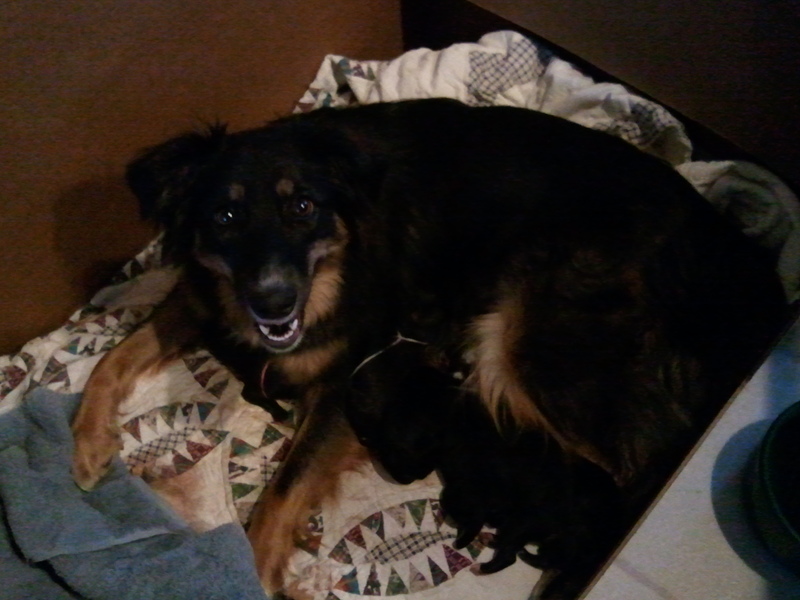 She is an excellent mother who has given us two sets of twins. This past year she became very very, very thin while nursing her lambs. I separated her from the flock and gave her extra grain and hay, but that didn’t help; she still blew her fine, lovely coat. I weaned her lambs as soon as able and she gradually bounced back. I don’t know that I will breed her again. She is such a dear sweetie in the barnyard. She sticks a bit to herself and is very independent. She loves a treat of bread or cracker and greets me at the gate when I enter the barnyard. Jellybean’s white ewe lamb Phyllis was our first lamb born in 2010. She is also the first lamb I’ve had to “go in and get.” Fortunately we were both at home when Jellybean went into labor. Long-suffering husband helped calm her while I pulled the lamb. She quickly delivered a black ram lamb afterward. 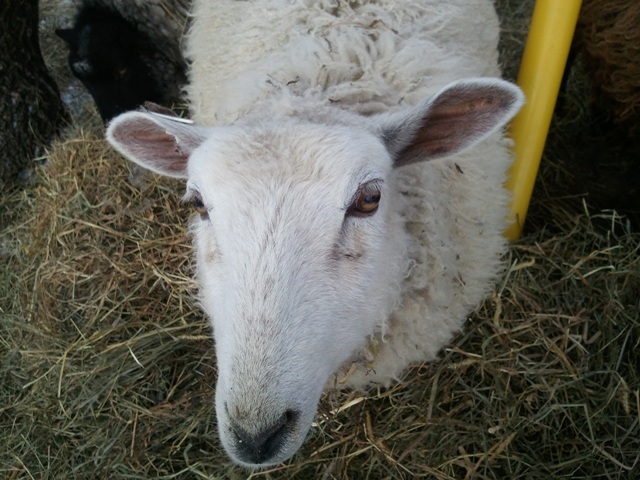 We named the white ewe lamb Phyllis, after my mother-in-law who had recently passed away. Of course, she will spend her days here on our little farm. Phyllis is a petite ewe, like her mother. She loves to have her neck scratched. I think I better stock up on treats! The last two Shetland ewes are Bonnie and Glory. I will write about them in another post. I have been thinking about learning to weave fabric. Now, I have more motivation than ever! Curious? Click on the link below to find out more. Do you think I can learn to weave bed linens – today – before I go to sleep? Frosty fleece wreckers - Aargh! I’ve decided I want to blog more. Rather than just thinking about doing it, I’m starting right now. I will be posting on this blog once a week, perhaps more often, for all of 2011. The posts really dropped off the last few months of 2010. I found it was just consuming too much time to think of new ways to write about my flock and farming. As my blogging slowed, I was able to accomplish more knitting. But I missed blogging. How to find the balance? 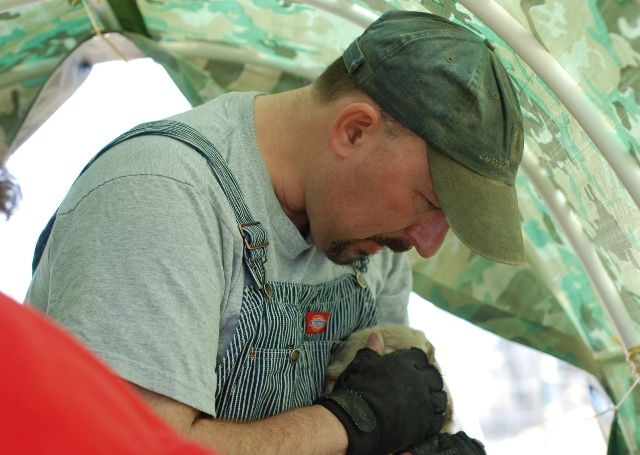 When I began the blog, I wanted it to be a chronicle of our farm life. I also wished it to be (somewhat) a diary of our personal life. So that is it – in 2011, I will focus on shorter but more varied posts. 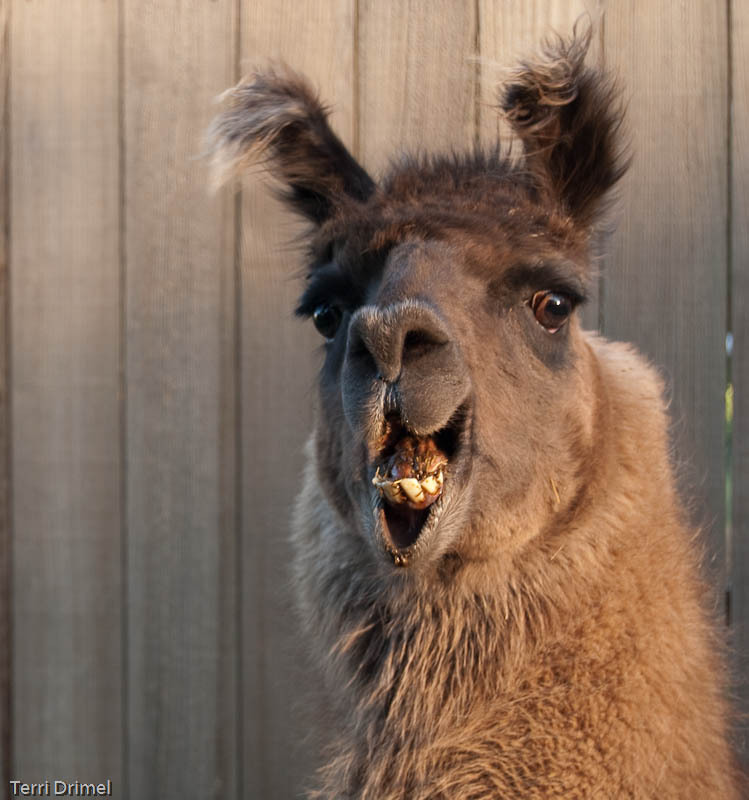 No worries – our lovely Finn flock, sweet Shetlands and entertaining llamas will still be featured; as will family, knitting, spinning, dyeing, gardening, traveling, random thoughts, and anything else that strikes my fancy. I know it won’t be easy, but it might be fun, inspiring, awesome and wonderful. Therefore I’m promising to make use of The DailyPost, and the community of other bloggers with similiar goals, to help me along the way, including asking for help when I need it and encouraging others when I can. And I look forward to reading your blogs in 2011! If you already read my blog, I hope you’ll encourage me with comments, likes, and good will along the way. Thank you so very much for your support!